Austin - I love you, but don't worry, I'm not moving here! Well, ReStrung just finished a long weekend in Austin for SXSW. We came in to participate in the Renegade Craft Fair and also do a trunk show with our friends at Langford Market. It was a whirlwind of a weekend, and we got to meet lots of great artisans and made new friends. 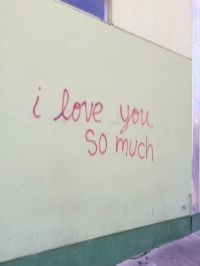 After four 12 - 14 hour days, I was ready for a little R&R today, so I hit SoCo for a litttle retail therapy. Here are some highlights from today's haul! I stumbled onto a beautifully curated vintage shop called Feathers Boutique Vintage. Great selection of boots, belts, purses and lovely vintage. I picked up a great leather and brass belt by Marnie Bugs. Amazing Vintage Tony Lama Boots! The shop girls at Feathers were kind enough to direct me to a little hidden gem the Annex - a new vintage shop tucked away on a back alley behind SoCo. I scored these rad Tony Lama vintage boots there!!! 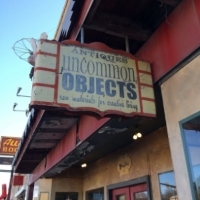 If you are a sucker for antique and vintage home decor - stop by Uncommon Objects on Congress. I want just about everything in the place! I was looking for mirrors to use for my jewelry display and this little mirror on a stand caught my eye. I picked it up and on the backside was a pic of one of my idols - Mae West - this little piece was waiting for me - so excited! I also got a nice hand carved "monkey bowl," which I can use to display jewelry. I will definitely go back to this place! And if you're a picker - go to St Vincent De Paul thrift store. There's a ton of clothing, but I was looking for display stuff and found some nice wood trays to showcase our bracelets! Although I worked throughout SXSW, and didn't get to see or hear any live music, I'm fortunate to enjoy great live music every day in NOLA. But hey, as usual - I did enjoy the weirdness of Austin, which honestly, I don't find any weirder than New Orleans. But Austinites pride themselves on "Keeping Austin Weird," so I guess I will humor them.... and we are all weird in our own way, right?!?! All in all, it's been a great trip - and I'm finishing it off with a home-cooked meal made by my bestie! Thank Austin - See you next time!!! How cool is The Annex?!?!? Oh - and for all you fashionistas - UAL has opened a shop on Congress! We have two UAL stores in NOLA, so I was very excited to see one here. I picked up two lovely pieces by Sachin + Babi for $30 - unbelievable deal!! !